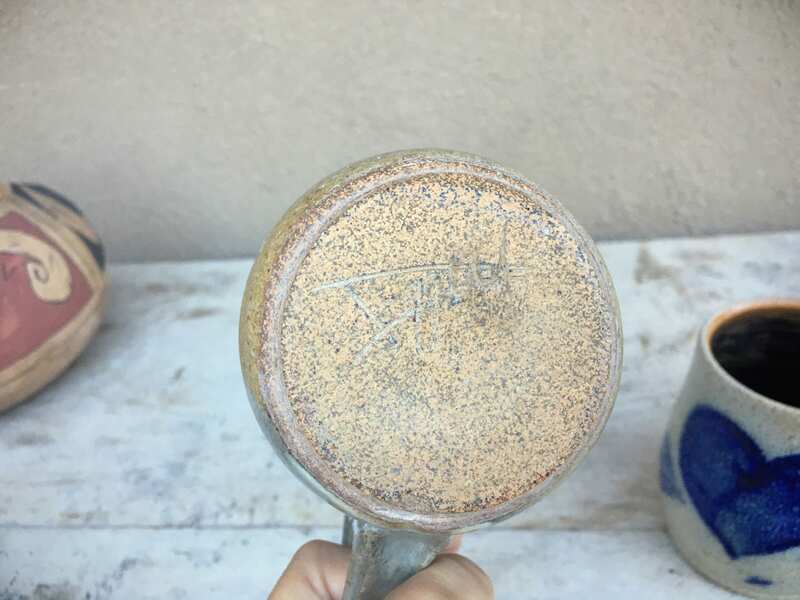 These two stoneware mugs came from the same estate, and they reminded me that one mug does NOT fit all sizes. 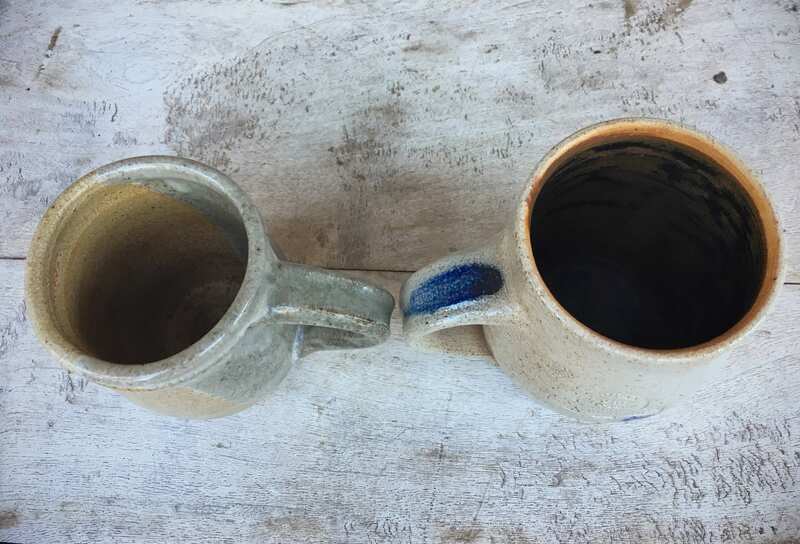 We choose our cups based on how they feel in our hands, the size, the height, the texture. 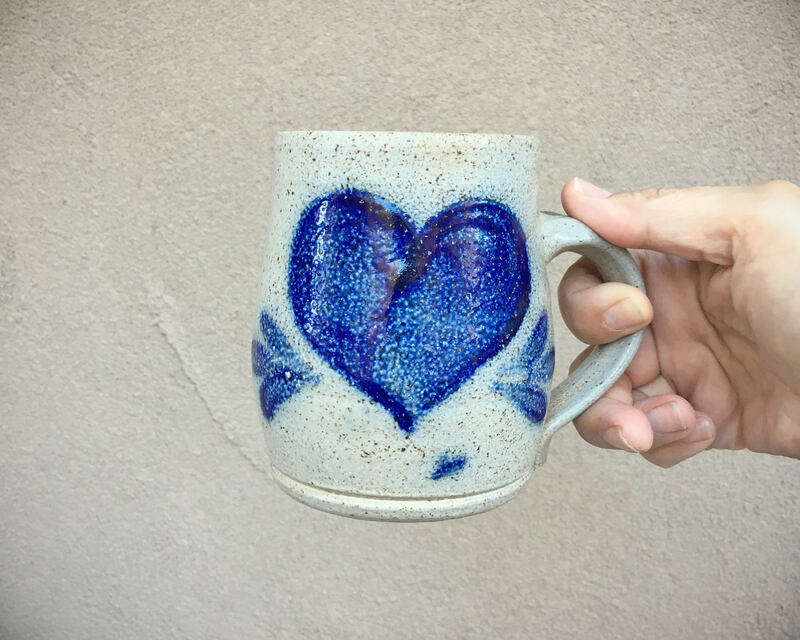 I like a tallish mug, one that keeps my coffee warmer longer as I savor my coffee each morning. 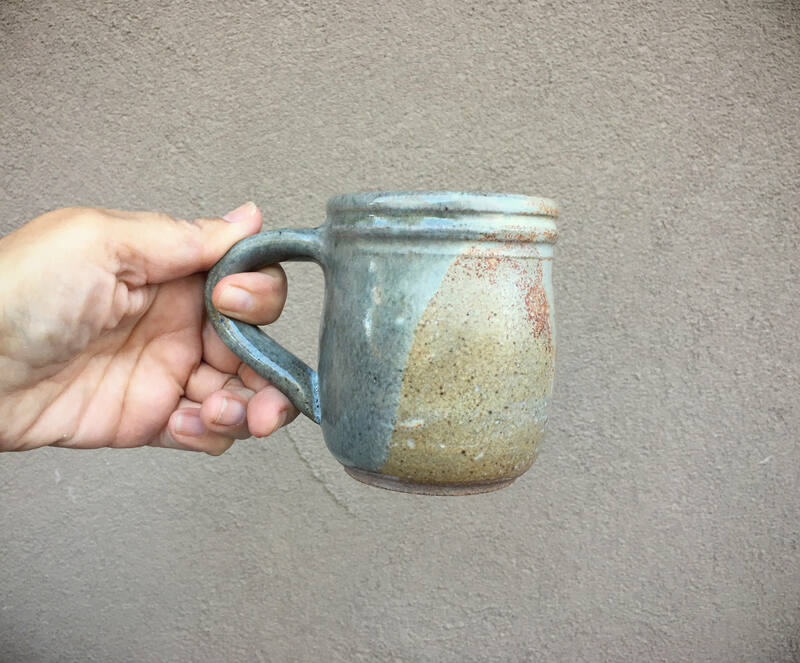 My husband prefers a smaller mug, as he drinks his coffee while it's very hot, then re-fills. Both mugs offered here are circa 1980s to 90s. 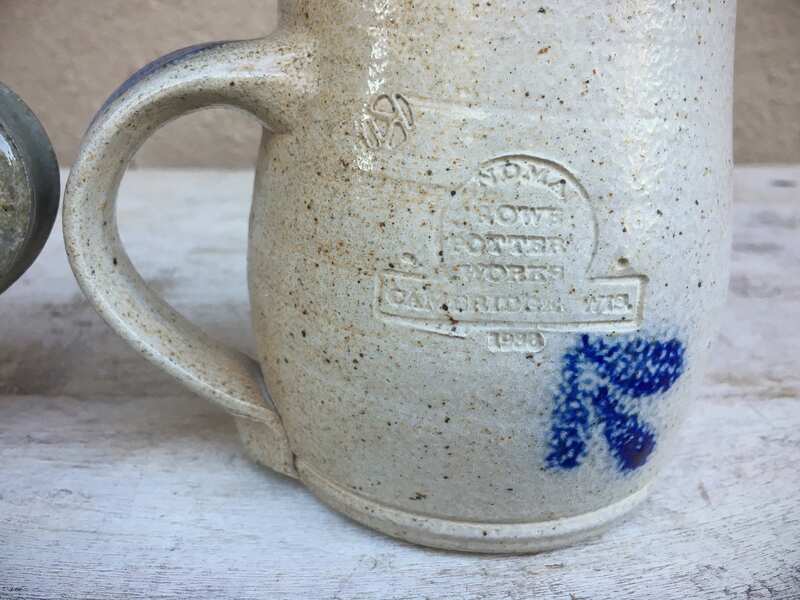 The salt glaze mug with blue heart has a mark from Rowe Pottery Works, Cambridge, WI, 1996. 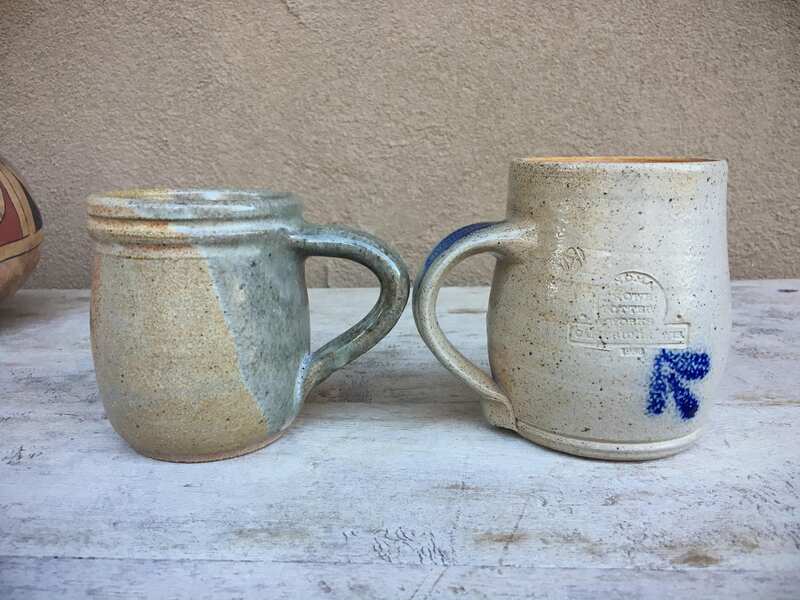 What they have in common--earthy color palette, made by hand, both feel wonderful on a cold morning. 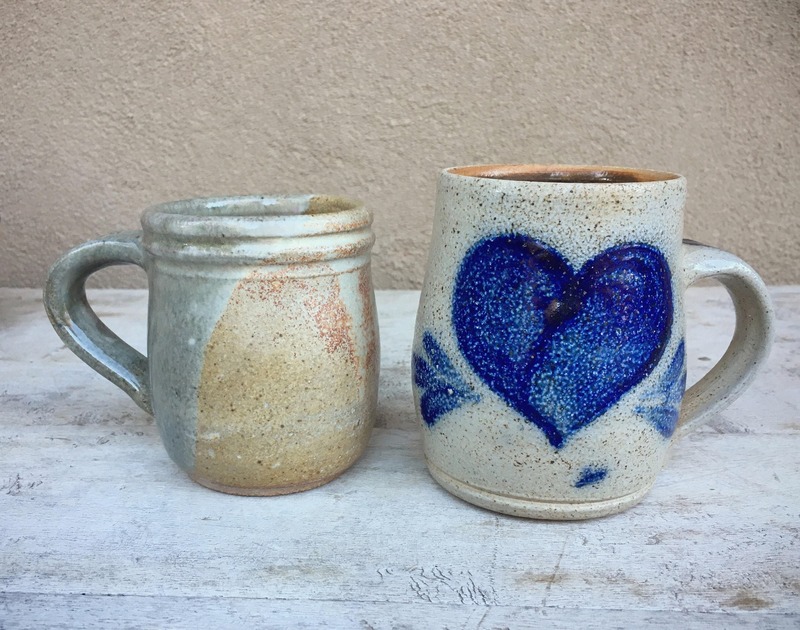 Smaller mug measures 3-3/4" tall and larger mug 4-1/4" tall. Both in good vintage condition. Of the earth, to start each day.